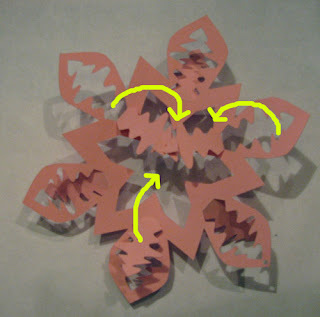 The cutout parts of each arm fold in and interlock to form the center of the snowflake. 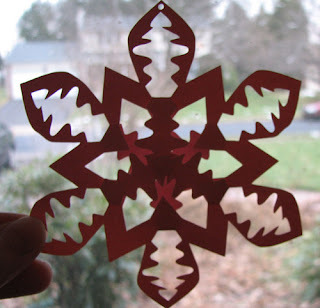 Download and cut out snowflake. 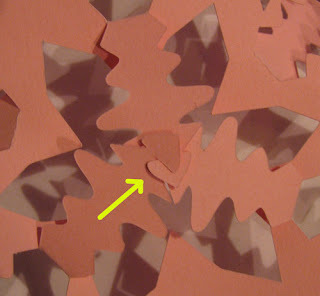 Turn over and fold the remaining cutouts toward the center of the back. 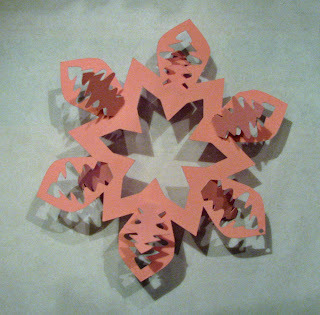 Interlock the tips of the cutouts at the center. 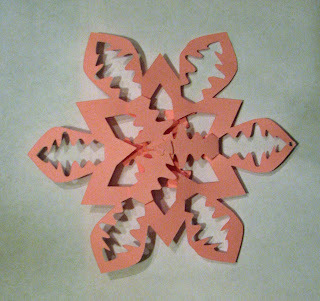 Flip over and interlock the other three cutouts.